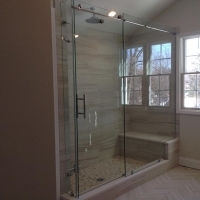 Many bathrooms have limited space, particularly if you live in an older home, so using elements that provide a sense of space can make a huge difference. 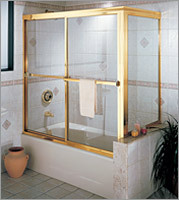 Installing a sliding shower enclosure can often be a perfect solution for a smaller bathroom. 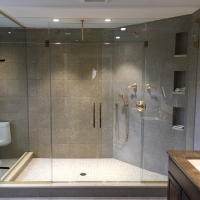 Traditional and appealing, yet functional, sliding glass shower door enclosures from Glass Castle keep things simple without compromising quality or visual appeal. 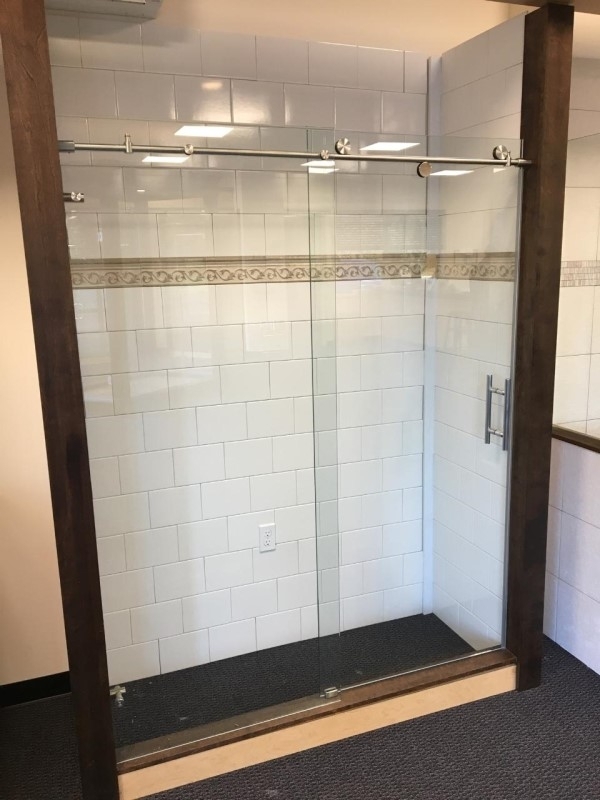 Be sure to visit our gallery to see the glass textures and hardware finishes available for your new sliding door enclosures. 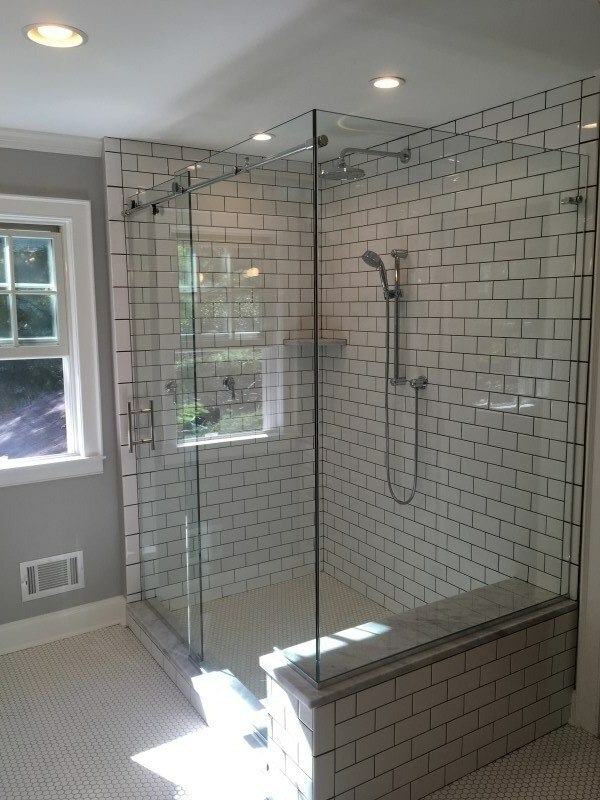 All of our sliding enclosure shower doors are manufactured by Century Bathworks and Eastco Shower Doors, so you can rest assured that your new shower door is a high-quality product. 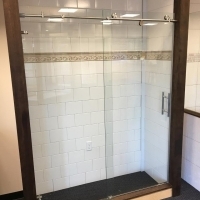 Our new Imperial Barn Door Slider is as frameless as you can get with a slider—and we think the perfect marriage of slider convenience and frameless elegance. 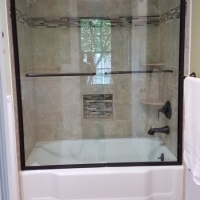 Our new slider has one stationary panel and one sliding panel and is ideal for 5-foot openings and tub enclosures. 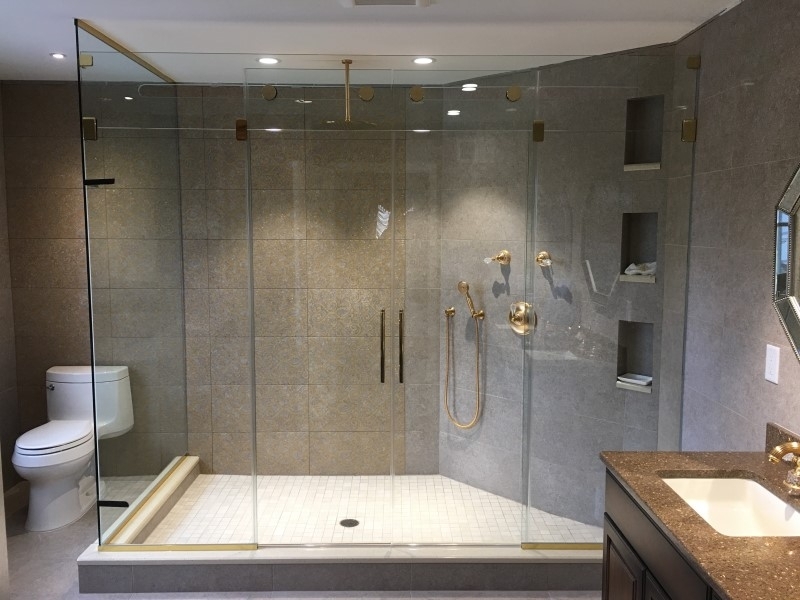 We offer our frameless slider in polished stainless, brushed stainless and oil rubbed bronze and the same glass options available with our Imperial Series Frameless Doors. 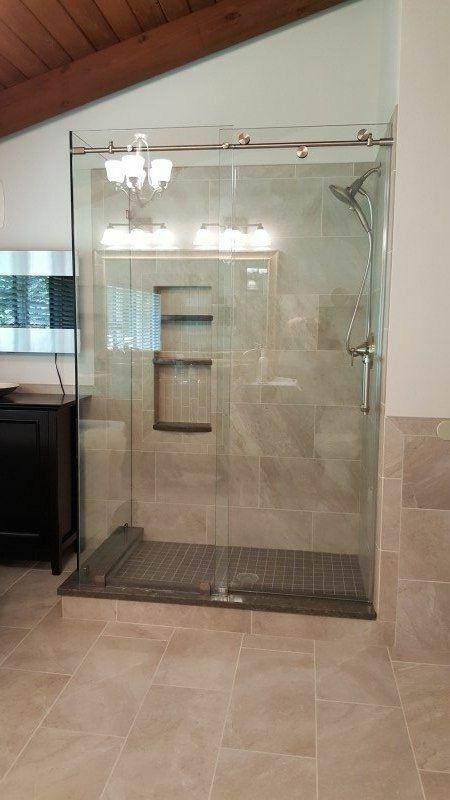 Visit our gallery to get a look at this shower door innovation. 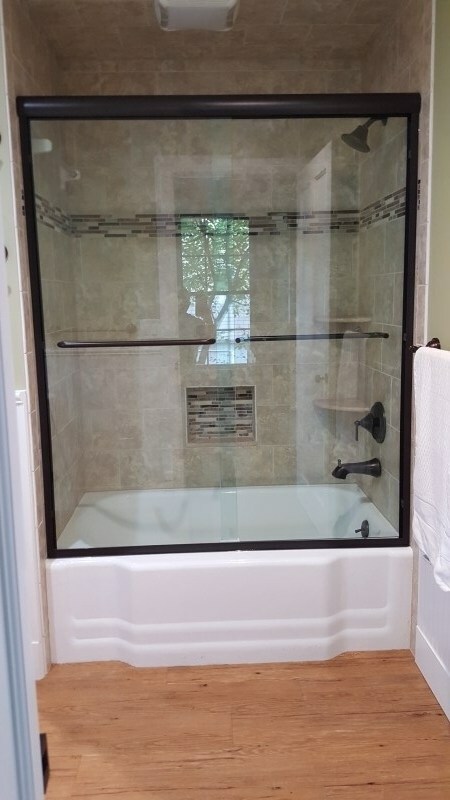 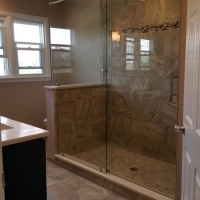 Most sliding shower door enclosures are made to be installed on the shower pan or tile apron and include two separate glass panels that slide to provide easy access to the shower area. 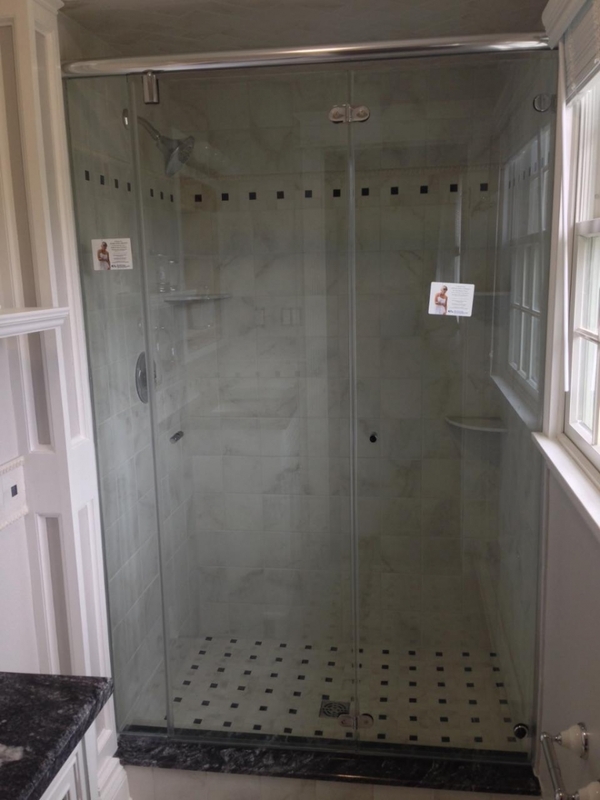 Side pieces are installed to protect the rest of the bathroom from water splash—a tight seal is vital to a successful enclosure. 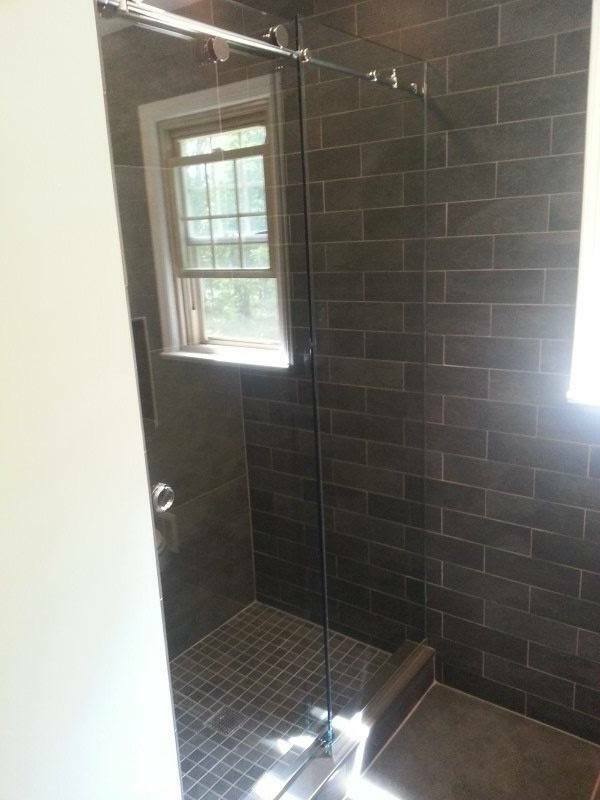 Side jambs may have bumpers so that doors do not slam. 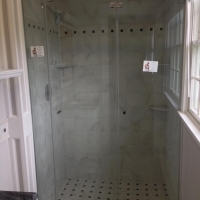 The jambs are crafted from a non-corrosive material and come in a variety of finishes. 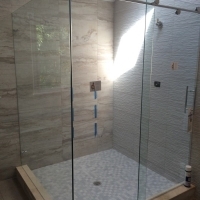 Many of our glass options, such as etched or textured glass, offer the privacy of a curtain but with a cleaner look. 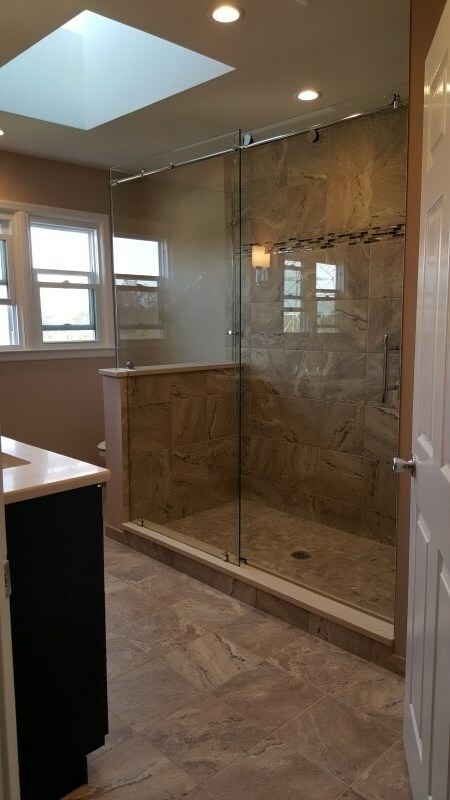 At Glass Castle, putting customers first is job one. 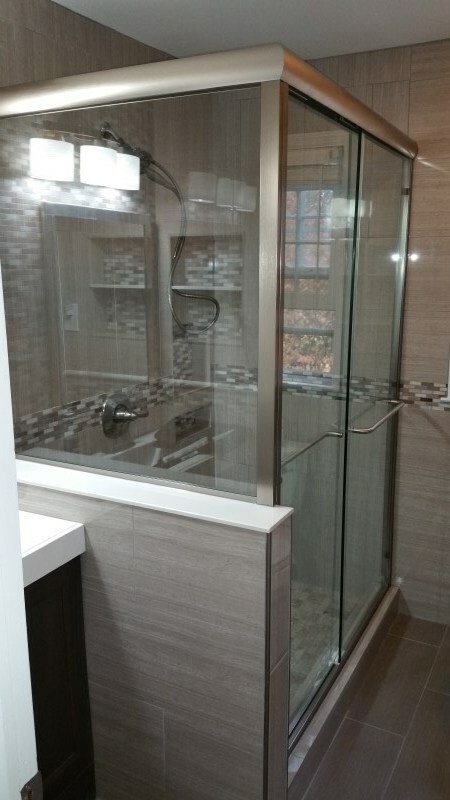 We love what we do and know how to create function and style in any bathroom. 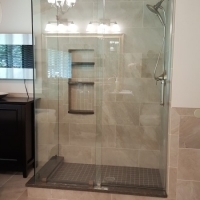 Our over the last 3 decades of experience and customer care means you can rest assured that you’ll receive the highest levels of safety and design during your installation. 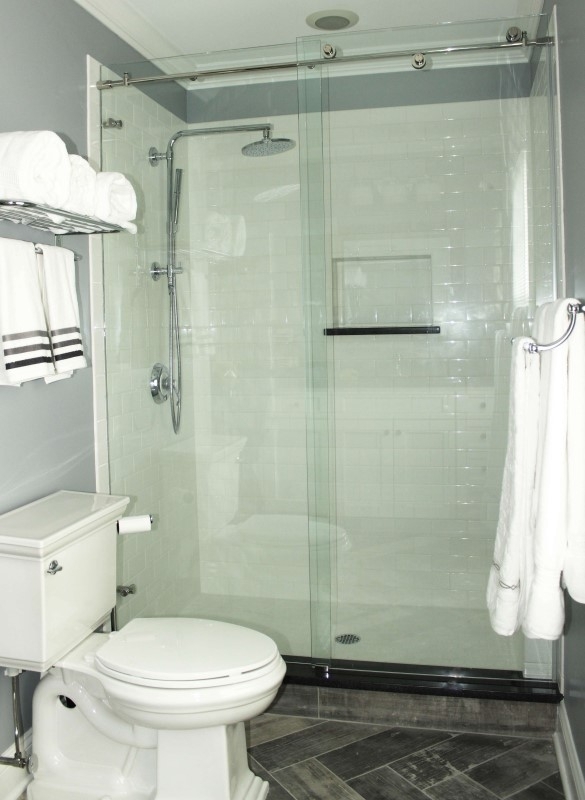 We accommodate all room needs, including corner or wall-to-wall locations and tub or shower sliding door enclosures. 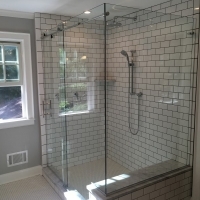 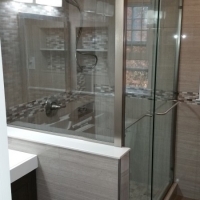 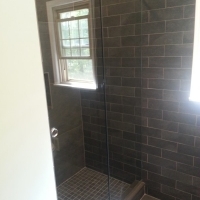 Contact us today for a free in-home consultation about your custom glass shower needs. 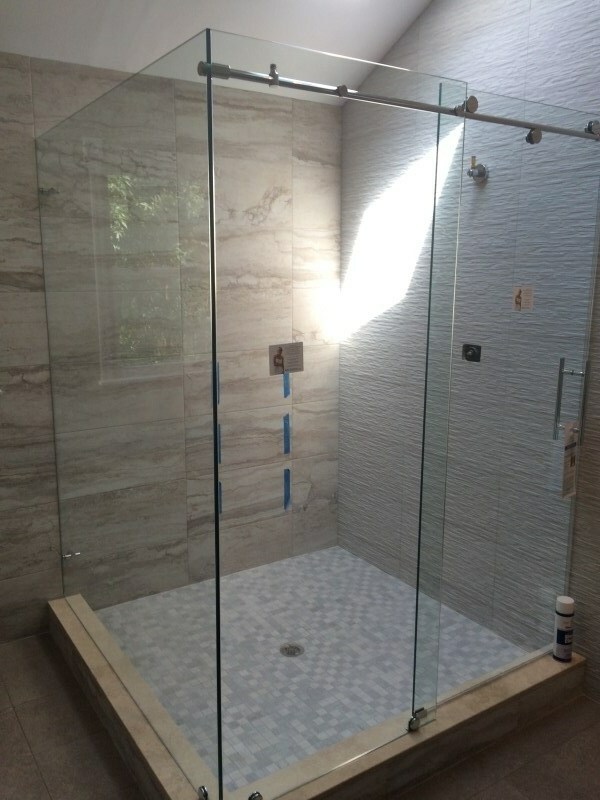 Your dream shower awaits you.